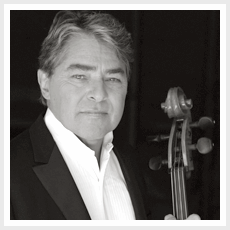 Cellist Jon Joyce received his Bachelor of Music from California State University Northridge in 2003 in cello performance. His instructor at the university was David Aks. He is currently studying with Diane Roscetti. He recently completed his California teaching credential in secondary education as a choral and instrumental teacher. Jon has enjoyed a career in the studios as a singer for the past 30 years. He has extensive choral credits with artists such as Elton John, Pink Floyd, Frank Sinatra, Barry Manilow and Barbara Streisand. He has also performed on countless commercials and movie scores, most recently the soon to be released Watchmen and the upcoming animated Disney movie, Rango. He can currently be heard on the theme for 2 ½ Men, and various episodes of Family Guy and American Dad. 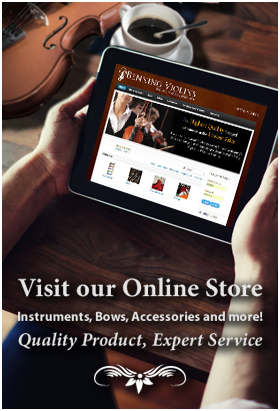 Jimmy Joyce, Jon's father bought him his first cello in 1959 from Studio City Music. Nearly 50 years passed between that first student cello and the lovely Eric Benning cello he now owns. He is grateful for the steady presence of the Benning family and their dedication to their craft over these many decades.